Would you like a break from the clinical environment? Come and help us make a real difference for those living with a neurological condition. We have an exciting job opportunity for an experienced neuroscience nurse to become a key member of our Services team. You’ll be providing information and support to help people understand their diagnosis, treatment, side-effects or how to manage their long-term condition. This support is provided via a range of communication channels including telephone, email and social media. The post is based in our London office with flexibility for some home working. In addition an important aspect of the role will be to develop new relationships with key health professionals to support their work and develop opportunities to promote our services. You’ll also be a source of professional knowledge, providing clinical input to the revision and development of the charity’s publications as well as more widely across the charity. Please share this opportunity with anyone you think may be suited to this role. More information, job description and application form can be found here. There are several ways our team works together with health professionals in order to improve the quality of life of people affected by neurological problems. Our free and confidential Helpline is staffed by trained Helpline Officers who can answer questions about all neurological conditions, from the fairly common to the very rare, and can offer information and support on any medical, or related social or emotional, issue of concern. However, the Helpline is not just for patients and carers – our Helpline team can offer information to you as health professionals, with certain questions you may have around further support or signposting options you’d like to be able to offer your patients. Our publications are produced in consultation with expert health professionals with experience in the field and reviewed by patients and carers where appropriate. These resources are accredited with the NHS England Information Standard quality seal. If you are interested in becoming a health information partner, whether by contributing to our publication (your name will be credited) or by writing guest posts for our website, please contact our Publications Officer, Luke Stamatis. If you have any questions or suggestions around working with us or any queries about any of our outreach activities we would love to hear your input into it as a health professional. Perhaps you would like to arrange a presentation from us within your team? 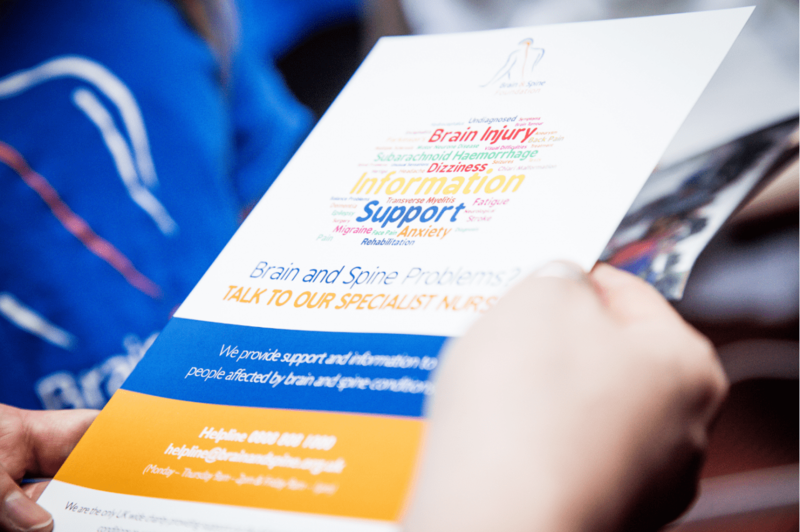 Maybe you would like to order a batch of free resources for your department or clinic, or you might even have some feedback about what our outreach work could be doing in order to better reach you and your patients – whatever it may be, do get in touch!